Tucker Western Fenders and stirrup leathers assembly. 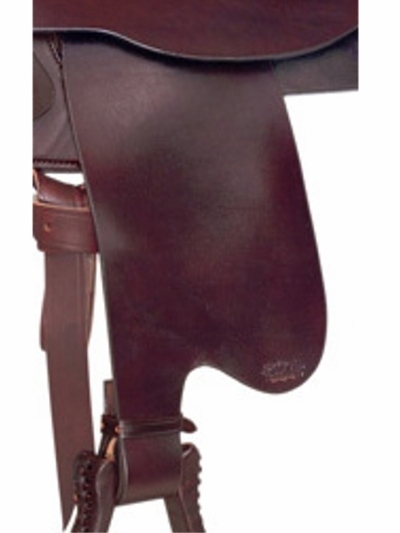 As on Tucker Endurance or western smooth finish saddles. 2 1/2" wide leathers with Blevins slide buckle adjustment. Stirrup leathers: S-33"; M-36"; L-39". Fit inseams: S-26"-36". M- 29"-39". L- 32"-41". Smooth, no tooling. Sold in pairs. Fenders only-does not include #273 hobble straps or stirrups.